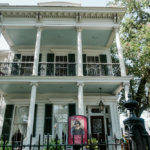 New Orleans is steeped in a rich, complex history dating back to the 1700s. Over 300 years, the city has been shaped by many different cultures and traditions, its African heritage being one of the greatest influences. This February, as we celebrate Black History Month, we’re taking a moment to continue to recognize the contributions of our past, present, and future African-American residents and leaders. 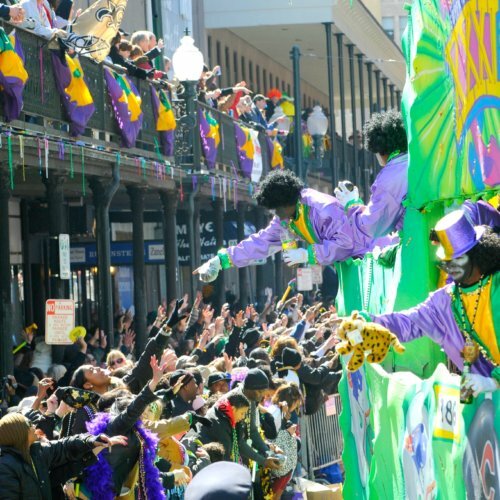 Here are our top ways to celebrate Black History Month, plus a little lagniappe. 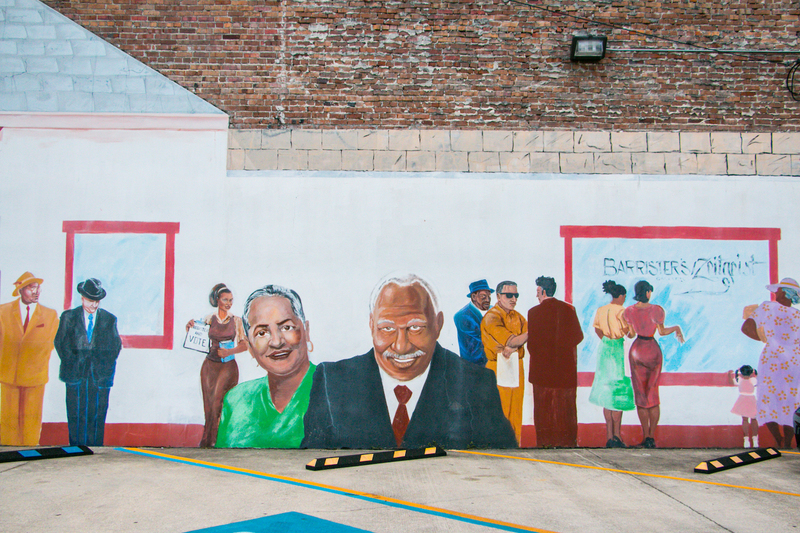 Free people of color have a storied history in New Orleans. 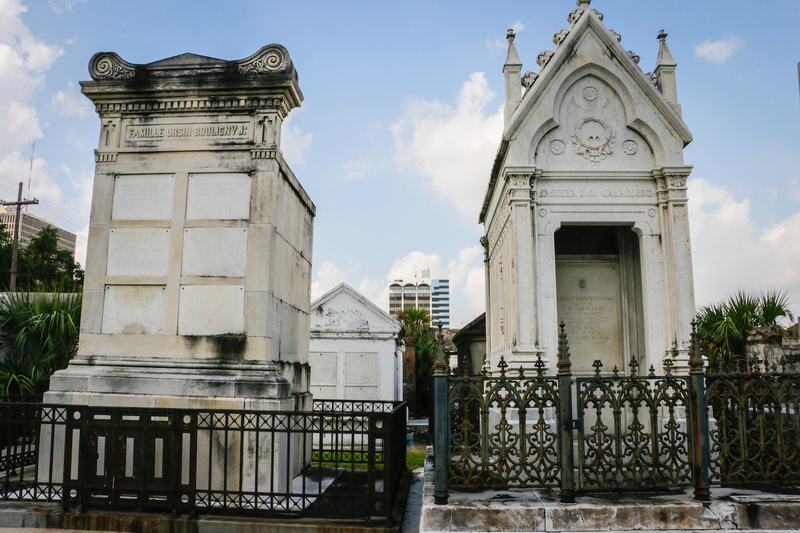 After being freed, many purchased vaults and tombs in St. Louis Cemetery No. 2. Their tombs each tell both a troubling and fascinating story. Hear the tales of black poets, writers, swordsman, and mathematicians on this unique tour. Stand at the final resting ground of officers in the Union army, wealthy black planters, and devout Catholic nuns. Hear the stories that are not often heard. These tours are presented by Save Our Cemeteries and are available on Fridays beginning Feb. 1 through Feb. 22, 2019. Tours run from 11 a.m. to 12:30 p.m. Meet at Backatown Coffee Parlour at 301 Basin St., a black-owned café that has become a meeting place for many of today’s creatives. The cost of the tours are $25 per person and children under the age of 12 are admitted for free. 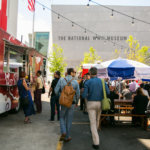 Celebrate past and present African-American writers at the third annual Black History Month Literary Weekend Jazz Brunch. The event showcases published, self-published, local, and independent authors, and introduces young authors to a new literary world. Guest speakers will be Dr. Raenell Houston, superintendent of Catholic Schools, and Dr. Lisa Aubrey, author of In Search of Bimbia. New Orleans’ own Joy Orleans will perform live jazz at brunch. Literary lovers, don your best ivory or cream outfit and join this celebration of some of the best and brightest. 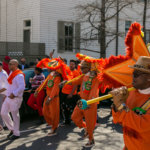 The event takes place at the Tremé Market Branch at Saturday, Feb. 23, 2019 from 10:30 a.m. to 1:30 p.m. Tickets start at $45. Celebrate the life and legacy of Mrs. Oretha Castle Haley, New Orleans civil rights icon. The annual New Orleans Jazz Orchestra Black History Month concert celebrates the lives, experiences, and achievements of African Americans that have shaped our country’s history. The event takes place at the New Orleans Jazz Orchestra (NOJO) at 1436 OC Haley Blvd. on Friday, Feb. 22 from 7:30 p.m. to 9 p.m. Doors open at 6:30 p.m. and the show starts at 7:30 p.m. Tickets range from $30-$85. Ten published authors from the Gulf Coast will gather to share their insights from the publishing world and offer advice to aspiring writers looking to get their start. Attendees will receive tips on writing your first book, finding motivation, book promotion, and more. The event will take place Friday, Feb. 22 from 11 a.m. to 1 p.m. at the Algiers Regional Library. Register for free here. Enjoy a neighborhood Black History Celebration brought to you by the New Orleans Recreation Department on Tuesday, Feb. 19 at 5 p.m. The showcase will highlight Black History Month and New Orleans citizens with the theme “Black Resilience and Resistant: The New Orleans Story.” This event is free and will be held at the NORD Milne Recreation Center at 5420 Franklin Ave. The Pythian Building was once the bustling “center of black life” in New Orleans; it was where a young Louis Armstrong played, where black-owned businesses took root, and where The Louisiana Weekly was established. The building was originally commissioned in 1908 by Smith W. Green, a former slave who later became a successful businessman. The Pythian is back in full force. Join local songbird, Robin Barnes & Friends Bill Summers, Nicholas Payton, DJ Soul Sister, and Mia Borders for The Past, Present & Future of African American Musicians in New Orleans on Wednesday, February 13 at 6 p.m. at the Pythian Market at 234 Loyola Avenue. On February 24, 2019, the members of the Historic Saint James A.M.E. Church, the oldest African Methodist Episcopal church in the deep south will unveil four statues of historic significance to the community. These four icons represents the contribution made by people of African descent from 1814 until 1898. It pays homage to the following historic events, which are embedded in America’s history: the Battle of New Orleans, the establishment of the African Methodist Episcopal Religion, the Civil War and the Spanish-American War. The services will begin at 10:00 a.m and the unveiling program will begin following the services. *Editor’s Note: For more ways to celebrate Black History Month, visit our guide here.